An Bang Beach is the local, public beach of Hoi An. It nestles about 4 kilometres from the town center at the end of a country road that passes through verdant farmland. 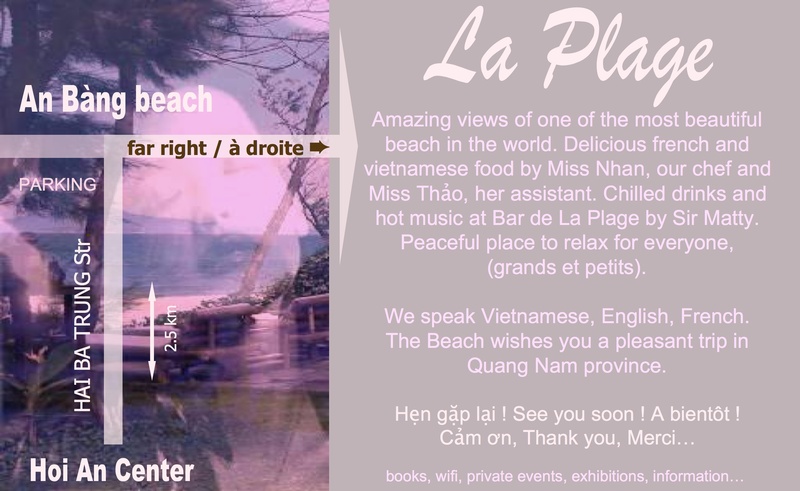 If you want an alternative to the coconut palm fringed Cua Dai beach, An Bang is a nice alternative. There are a number of laid back grass roof beach hut restaurants with the most glorious views over to Da Nang and Cham Island. 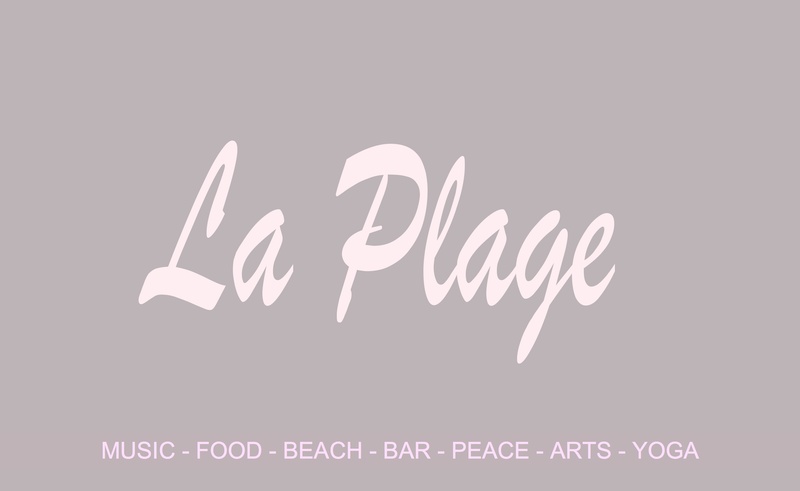 The most famous being “Soul Kitchen” featured as a Lonely Planet Top Choice or the more bohemian La Plage to the right with it’s simple French/Viet menu and more relaxed vibe. The cheapest and most trustworthy place to park your bike is with “Huggy” on the left side of the parking lot nearest the beach. Do be warned it is illegal to take your bike on to the beach and it is likely to be impounded by the police if you do. Parking at the entrance to the beach should cost no more than 10,000VND for the day and your bike will be safe. Also do be sensitive to local’s property, there are public pathways to the beach along the road between Cua Dai and An Bang beach and these are sign posted – if there is not a sign, you are trespassing on their property – this is not OK. Tip: Go there after 4pm to see the breathtaking sunset, but do respect the fact that this is one of the last public beaches left in Hoi An. Respect the locals.